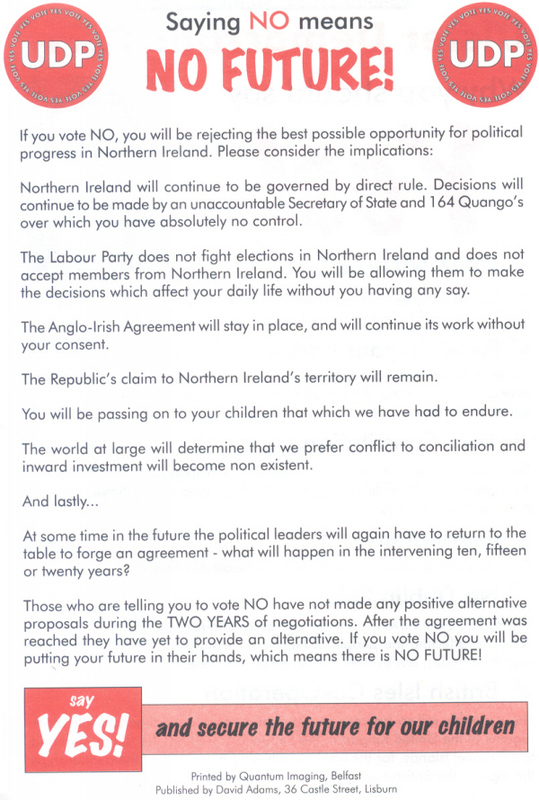 A leaflet from the UDP in favour of the Good Friday Agreement. The Ulster Democratic Party (UDP) were a small Loyalist party allied to UDA. They disbanded in 2001. The UDP were formed in 1989 from the Ulster Loyalist Democratic Party (UDLP) which had been set up by the UDA in 1981. 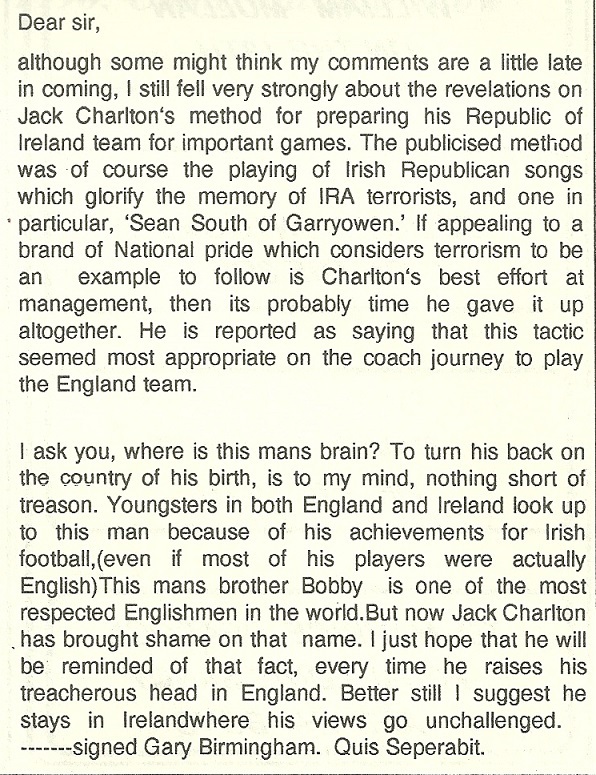 In this leaflet the leader of the party is Gary McMichael whose father John McMichael, had previously been leader of the UDLP. John McMichael was killed in 1987. From the 1996 Forum elections the party were alloted 2 seats, taken by Gary McMichael and John White. These seats entitled them to a place in the all-party talks that led to the Good Friday Agreement. In the 1998 Assembly elections the party failed to win any seats. They held a number of council seats until their demise in 2001.